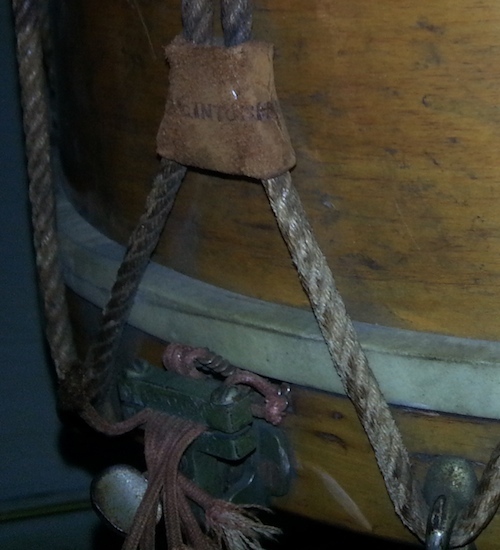 From reader Joe Zajack come pictures of an early 20th century rope tension field drum by William F. McIntosh. The drum is fairly simple in design and construction but is notable because very few examples of instruments built by McIntosh are known to exist. McIntosh was mostly a tangential figure in the percussion industry and is best known, so far as the Boston Drum Builders are concerned, for having designed and patented a snare strainer and muffler in 1909 which was used extensively by several manufacturers, most notably Boston's own George B. Stone & Son. But McIntosh apparently did some manufacturing, or at least assembly, of his own. Clearly he wanted credit for putting this drum together as he marked nearly every component with his name including the shell, leather tugs, and even the drumheads! 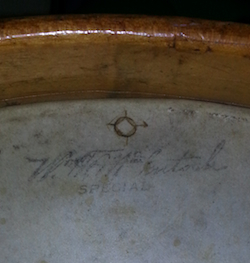 Everything about the drum is typical of other Boston makers of the era so it is entirely possible that McIntosh sourced some of the parts, especially the shell and hoops, from his friends at Stone or Stromberg. Given McIntosh's extremely low output of drums, it is unlikely that he had the ability to produce steam bent maple shells and hoops himself. McIntosh is listed briefly in Christine Merrick Ayars' Contributions to the art of music in America by the music industries of Boston, 1640 to 1936 as having been a "Drummer, drum maker, radio expert and now mostly a dealer in radios and equipment" from about 1900 through 1936. According to the author's footnotes, this information was provided by none other than Enes J. Nokes of Nokes & Nicolai. 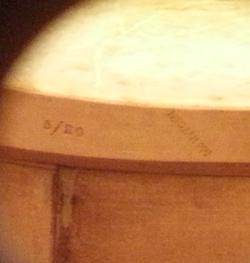 Inside of the shell of this McIntosh drum is a marking reading "5/26" which may well stand for May of 1926 placing it comfortably within the timeline provided by Nokes to Ayars. 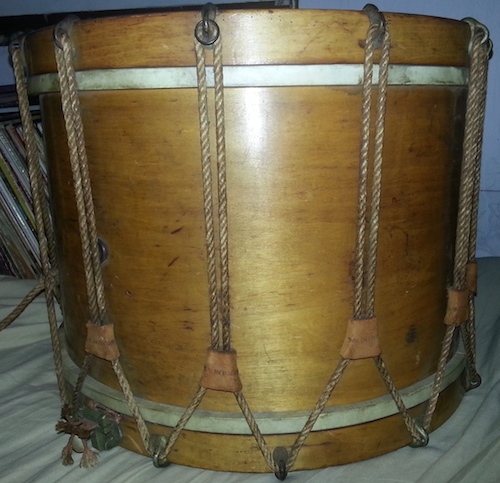 Do you have a drum by William F. McIntosh? I want to hear from you! Send Lee and email at lee@vinson.net.